In Fall 2015, Wake Forest Law will introduce its Business Law Program, which is a student-centered program designed to expand student opportunities that strengthen knowledge of business law concepts as well as develop skills to assist professional development and readiness for practice. The program targets four core areas: academic enrichment, professional development and ethics, experiential learning and joint degrees. Its goal is to engage students, faculty, alumni, practitioners, and the broader community in an important dialogue on emerging business law issues. Professor Omari Simmons, who teaches Contracts, Business Associations, and Corporate Governance, among other courses, has been named the inaugural director of the program. His research interests include corporate governance and higher education policy. His recent articles have appeared in the Notre Dame Law Review, Illinois Law Review, Arizona State Law Review, Wake Forest Law Review, among others. 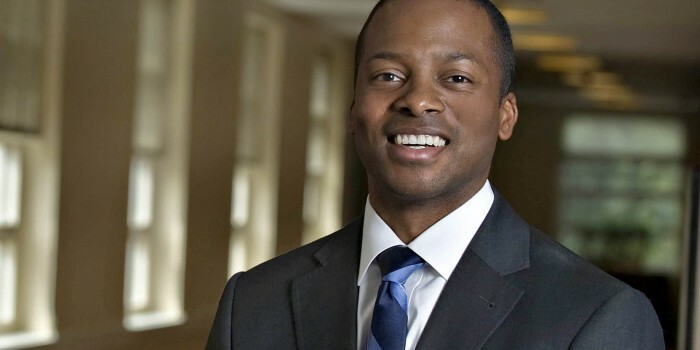 Prior to joining the Wake Forest Law School faculty, Professor Simmons worked as corporate counsel for two multi-national corporations and as an associate at the law firm of Wilmer Hale in Washington, D.C. Immediately after law school, he clerked for the Honorable E. Norman Veasey, Chief Justice of the Delaware Supreme Court. Professor Simmons is a member of the American Law Institute and serves on the Executive Committee of the Association of American Law Schools Section on Business Associations. Thomas Sager (’76), former vice president and general counsel for Dupont Co. and Wake Forest Law General Counsel Board Member, is currently a partner at Ballard Spahr LLP. He says the Business Law Program is an excellent opportunity for students to enhance their readiness for the challengesof an increasingly complex and highly regulated legal environment. Interim Dean Suzanne Reynolds (’77) is excited about the benefits the new Business Law Program will offer Wake Forest Law students. Learn more at http://business.law.wfu.edu/ or by contacting Professor Omari Simmons.